Join us for an exciting workshop with a flexible schedule, created to meet participants where they are. We'll workshop with instruction and develop ideas during the day, and have open studio time at night. This workshop is set up for both beginners and more advanced artists, and is meant to work with participants based on their individual level of expertise or experience. Create, complete, and frame an intimate composition by gathering the old and the new, the found and the given, the finished and the unfinished. 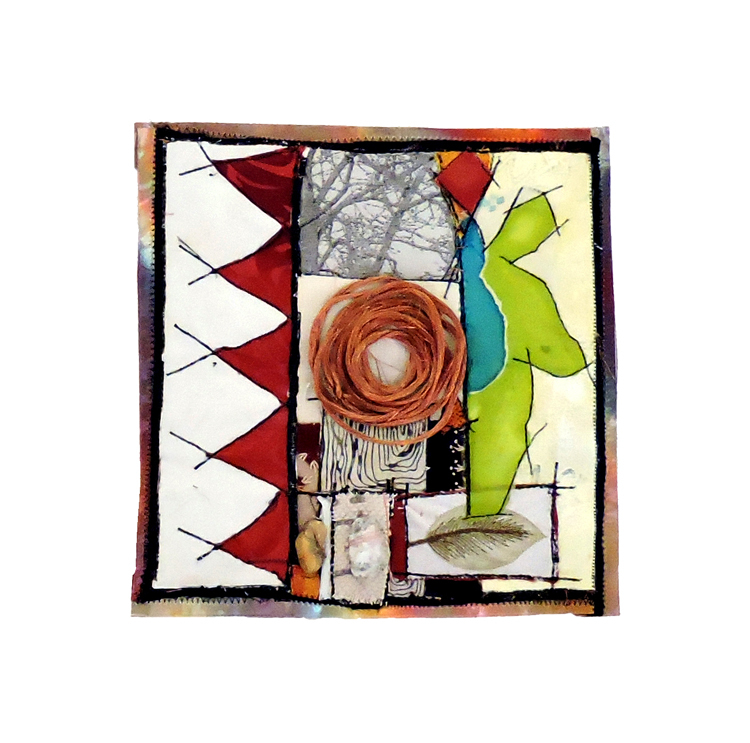 Instruction will be given on how to create a composition involving a wide variety of colours, textures and shapes, how to assemble the juxtaposed materials and how to embellish the assemblage through stitching with threads and copper wire, as well as burnishing and working with copper. You will also be led through the process of finishing, mounting and framing the art piece. Surprise yourself with possibilities by creating art that is both personal and mysterious, art that speaks of roads traveled and stories found, art that becomes the keeper of stories. Note: This workshop is offered on a flexible schedule -- with options to do either a three-day intensive or a one-and-half day version, joining the workshop on the afternoon of Friday, November 8. Payment can be made at the time of the workshop.